Good Morning+ Malmö - Conference hotel with rooms for up to 400 participants - close to Copenhagen! Welcome to Good Morning + Malmö. Here you will be close to Stadionmässan and only a short walk from Malmö Arena and Swedbank Stadium. In a ten minute walk you reach the center of Malmö with cafes, restaurants and entertainment. By train you reach Copenhagen in less than half an hour - the location of a conference in Malmö can not be better. 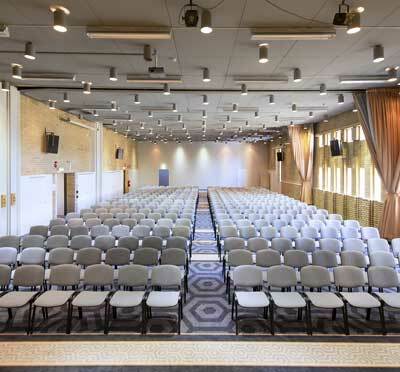 With us, you do not only get a good location but also a newly renovated hotel with modern design and flexible conference rooms, suitable for everything from management groups to major conferences and conventions with more than 400 people. One floor downstairs you will find a separate department which can be used for groups, with their own pub, dance floor and possibility to show up to the long table. Our conference department works according to your wishes and helps with everything practical about your meeting. Her your kick-off, team building, wine tasting or private party will be a success. On Good Morning + Malmö you will find just over 250 newly renovated and comfortable hotel rooms with tasteful design. All rooms have free Wi-Fi, flat-screen TVs, work desks with desks and armchairs. After the conference you crawl down in a comfy bed bedded with fluffy duvets, soft pillows and missing cotton sheets. On Good Morning + Malmö you can choose to stay in privileged rooms that are larger in size and extra-equipped with espresso machine, kettle, bathrobe and slippers. Then you can also keep the room until 16:00. Participants who like good food and drink at the conference have found right. 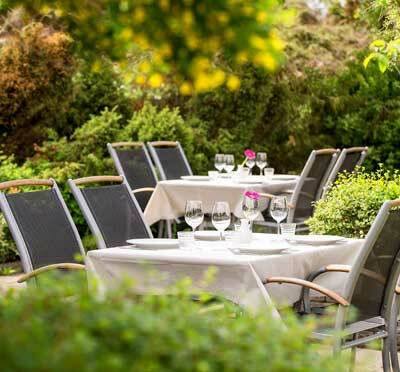 The restaurant serves savory lunch or dinner to suit your company. If you want to continue talking over a glass after dinner, you continue on to the bar. The restaurant and bar has a modern French touch in terms of menu and decor - and here you will find a wide range of quality wines on glass. If you want to recharge your batteries, you will find both a gym and a relaxation area with a sauna. Parking facilities are available right outside the hotel. Have you been to Good Morning+ Malmö and want to give your own comments?